all because two people fell in love: Happy Love Day!!! I hadn't planned anything big for Valentines Day or really put much though into it. I'm not a big V-day fan, if we celebrate we do if we don't we don't. No big deal. We normally do a dinner or something simple but nothing to big. I'm big on celebrating our birthdays or anniversary personally. I ran to the PX after my gym class Wednesday night to pick up his gift. (Thank goodness they still had one left) Although he almost went gift-less. Wednesday on post = family day, SIT can NOT leave post meaning everyone and their mother, father, brother, sister and grandma end up going to the PX. 7pm after a long day at work, gym class which totally sucked and a hungry girl was not a good combination but I sucked it up and managed. Thursday I ran all around town on my lunch to get last minute things. Literally from midtown to downtown to post to work. First up was dinner, Whole Foods was a epic fail they didn't have what I was wanting (Hubs likes their freshly made Enchiladas). So plan B (same dinner as last year) went in to place Pizza Joint. From WF I went to Cupcake in the Vista to pick up Dessert. I should have known it was going to be busy I mean hello its V-day. A quick trip turned in to 30 minutes long to get 4 cupcakes. I rushed back to post to pick up a order of Tamales I had placed last month. (today was delivery / pick up day) Then back to work by 2:30 for my last 2 & half hours of the day. Thankfully I took the hubs gift with me to work to wrap bc I sure as heck didn't have time to do it earlier in the day. 5 O'Clock came shortly later and it was quiting time, thank the laurrrd. It had been a long day and I was ready to get home. But not yet, I had to first order the pizza and wait 20 minutes for it to cook them pick it up. Although its totally worth the wait because they have the best pizza ever, drive through Chick-Fil-a sounded pretty good. (simply bc I wanted to get home.) With everything that had set me back today or not gone as planned I got some good loven at PJ when I went to pay for my order. The guy behind the bar asked if I was Military umm Yes why do you give a Military discount??? "Yea we do 20%" HELLO were the heck have you been for the last year that we have been coming here. How did I not know this?!?!?! This dude earned his tip plus some tonight. Thank You!!!!!! I finally made it home after sitting in traffic for what seemed like forever only 5 miles from post. My love was waiting on me with open arms, I sure do love him!!!! He was so excited for me to open my gift from him, I could barley set my bags down. We agreed to go small, something simple.....did we stick to it........NO, of course not. 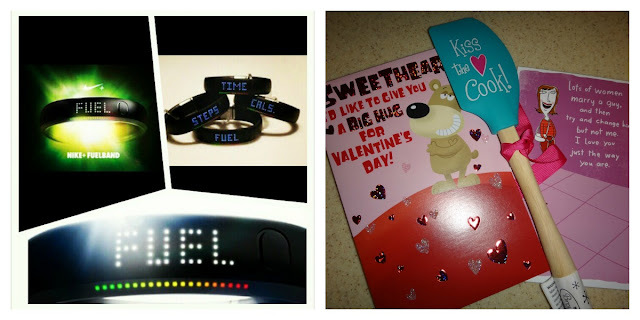 He got me a Nike Fuel Band which I'd mentioned a week or so ago that I'd wanted for working out and daily use. I have a Nike GPS watch for running but it doesn't track anything else were as the Fuel Band will and I can sync it to my computer as well. Unfortunately he couldn't find it any were in stores so he had to order it on line, so it should be in the mail soon. He also got me this spatula from the PX that I though was so cute!! 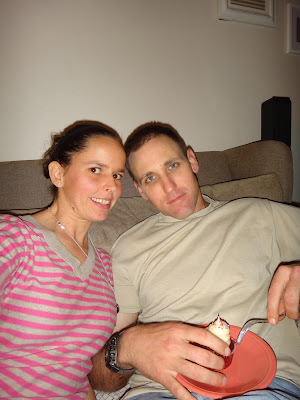 The hubs is all about his guns, accessories and reloading and all that fun stuff that goes along with it. So here lately its been a little easier to shop for him because I'm able to get him things to go along with what he's doing. There's this light (flash light) that he's been eyeing for a while now for one of his Glocks, he just hasn't bit the bullet and gotten it. We saw it at the PX a week ago for a little less than Shooter Choice and double bonus no tax. It was perfect and I knew he'd love it and my search was over. Wednesday night when I went they had one left, talk about cutting it close. I also picked him up some peeps, he loves those things.......I hate them. 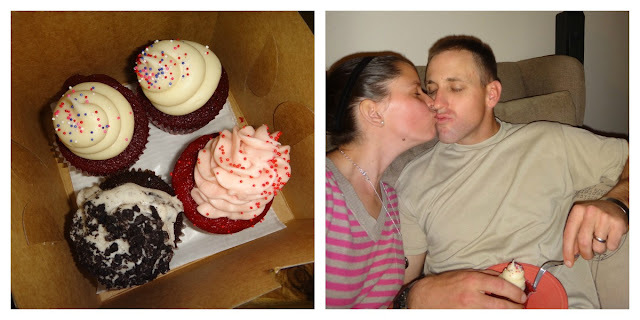 We ended the evening eating pizza on the couch while watching Grey's Anatomy and enjoying our cupcakes. 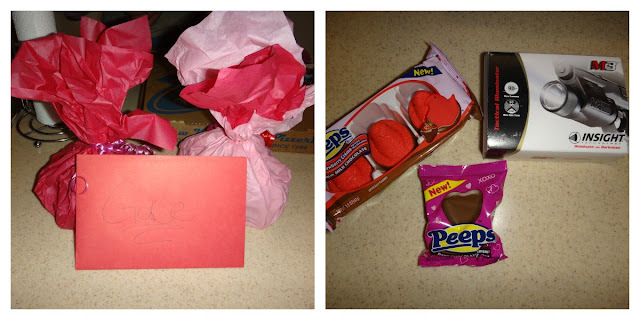 It was still simple and perfect I couldn't have asked for a better Valentine He's just perfect for me. We're so blessed to be able to celebrate our love together every day not just one day out of the year. Sounds like a great evening. Those cupcakes look delish! A simple and great day!